I think the Celtic Challenge must be one of the most undersung endurance tests I have witnessed. 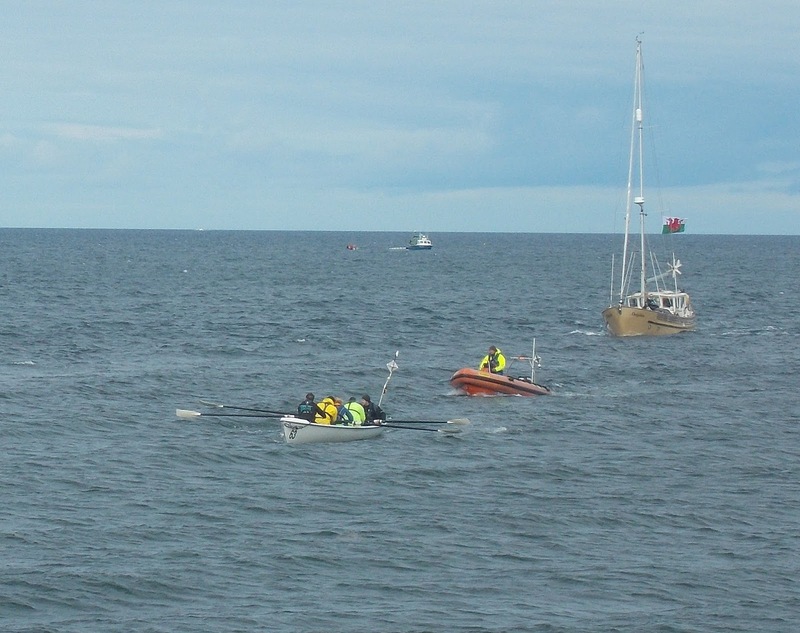 Open boats (Celtic longboats) are rowed by crews of 4 and cox from Arklow to Aberystwyth; journey time is between 18 and 30 hours, with teams of 12 spelling the boat duties. The sea is cold and quickly becomes rough. Additionally, it is dark at night. The race is run every 2 years: weather cancelled the 2016 event which was postponed until this year. 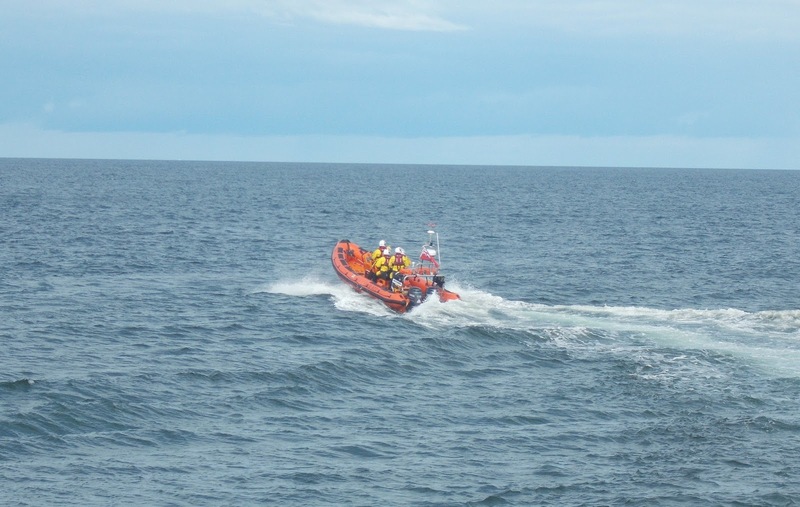 About 15 crews left Arklow on Coastguard advice at noon, Friday 28th. Tracking software predicted the winner arriving at Aber harbour at 6am on Saturday, and I actually thought about getting up to see this happen. But then I thought "stuff it", which was good as overnight the weather had been unkind and the prediction had become 10am. 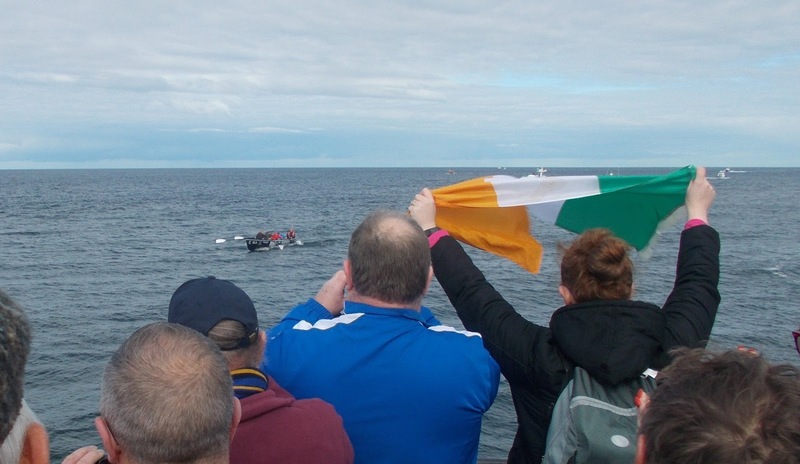 First over the line was the Irish Vartry crew, with Aber men coming in just 30 minutes later, both boats receiving enormous applause. 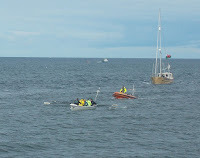 The very unkind conditions caused all but one of the other crews to retire: third in was a women's boat. It is, of course, event of the year (well, every other year) for the longboat clubs and so very well known in some communities. But Aberystwyth town makes little of it: no sign of the BBC, S4C, Cambrian News, or even the ubiquitous Keith Morris. Well, I'm doing my bit.